Antonio Conte takes his Chelsea troops to Liverpool on Saturday on the back of two 4-0 wins and a victory over Man United. The Blues haven’t lost any of their last five visits to Anfield and will be confident about getting a positive result in the late kick-off after the Reds’ meteoric collapse in Sevilla on Tuesday night when they let a 3-0 half-time lead slip to draw 3-3. Jurgen Klopp has said there is a “big chance” Joel Matip could be fit to face Chelsea on Saturday, but the game will come too early for Adam Lallana, and Nathaniel Clyne is out until next year. Conte should recall Alvaro Morata after starting him on the bench on Wednesday night at Qarabag, but he came on for Eden Hazard with 25 minutes to go, giving the Belgian a bit of a breather. Victor Moses (hamstring) and Michy Batshauyi (ankle) are both doubts for the Blues. I’m finding it tough to find a short priced single match outcome bet which is odds-against, so I’m going to admit defeat and go for BTTS at an odds-on price. It has landed in the last nine League games between the two teams and with Liverpool’s love of goals and leaky defence this should be an absolute banker at 8/13. For my longshot pick I’m backing the Reds to go well in the first half and then collapse after the break – just as they did at Sevilla in midweek – with 16/1 offered for Liverpool to be winning at half-time but end up drawing the match. If Liverpool start brightly and both teams do score then I fancy Chelsea to grab the last goal of the game. So, I like the look of Eden Hazard to have the final say at 15/2. Check out my other weekend tips in The 4-4-2 System HERE. 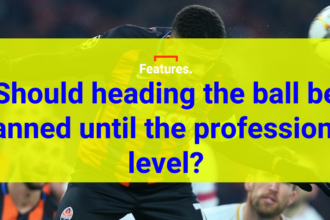 Should heading the ball be banned until the professional level?